In the corridor, next to the rear entrance to the library at Heriot-Watt Uni, is a birds nest, a swallows nest. The corridor is open at one end and leads out into the gardens. 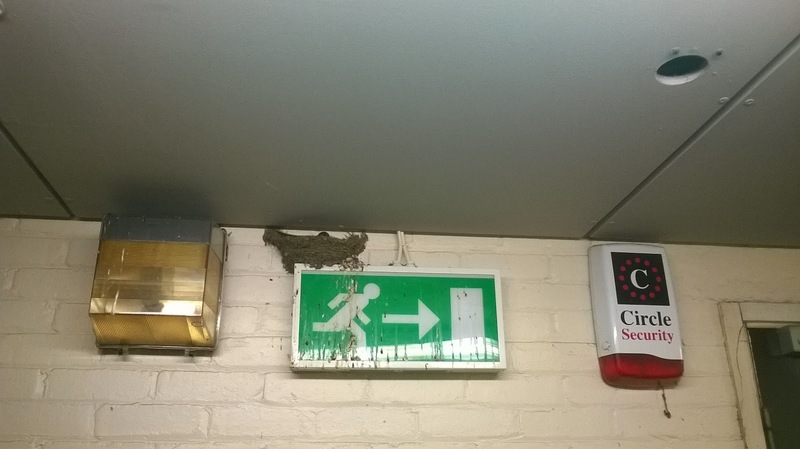 The swallows come here each year to nest in the same place on top of a narrow sign next to fire alarm which rings loudly at least once a week when tested. Students and staff pass by to come into the library although it's not the main entrance. A couple of metres away from this seemingly cramped and noisy corner are acres of beautiful trees and places to nest which would be relatively quiet and undisturbed. Yet the swallows choose the corridor and successfully have chicks which thrive and fly away. This made me wonder if there were any comparisons with the sort of spaces that are chosen by students to study. I'm not suggesting that they should perch in inhospitable places but there is an element of self selecting and it's not always possible to predict which spots suit which students. We have recently done a quick survey asking students what spaces they want in the library and the demand was equal for group study space and individual space, equal for silent space and for discussion space. Also interestingly, the same students wanted each of these kinds of spaces at different times. The library here is very busy and is vibrant and dynamic (in other words it does get noisy). We don't really have enough space yet students find the space that they need and continue to study in the library. The silent floors are usually silent and we get very few complaints or comments about noise levels on these floors. The entrance floor is noisy yet some students choose to work in that environment doing individual work and carry on quite happily. The top floor which has PCs, printers, study spaces and books and journals is an eclectic mix that ebbs and flows through the semester. We do monitor the learning space to ensure that students adhere to the noise zone requirements and eat food and drink in the appropriate places. We do monitor the study tables and remind students not to leave items unattended and not to reserve seats (empty nests?). But we try to be flexible and respond to the needs and demands of students. The challenge is to provide a variety of study spaces and learning spaces so that students have a choice and can find a place that suits their needs when they need it. This week is the last week of semester 2, the last week of teaching, the last week of exams. It's the last week of 24/7 opening of the Library and the last week of work for evening and weekend staff. It's a good week for finishing off and for slowing down ever so slightly and standing back for a minute. 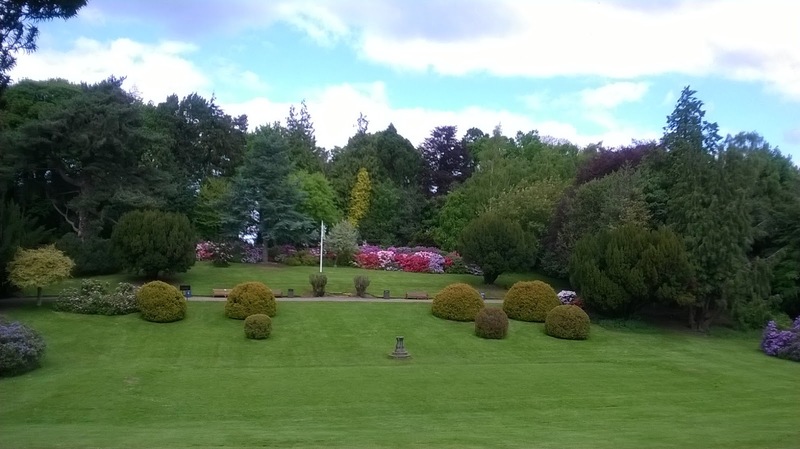 It's a good week for being pleased that we have completed a whole academic year and the Library and IT services have provided an excellent service to thousands of students and staff. Next week will be the hard work of finishing off, completing tasks, collating statistics and writing reports - explaining and describing what we have done and assessing our successes. Then the planning begins, what do we need to do to improve the service we provide? Reviewing what we have done and deciding what we are going to change. It's exciting and interesting to plan ahead but just for this week it's good to make the most of the time, to make sure that students are helped and supported through to the last day and enjoy the moment (and the view).